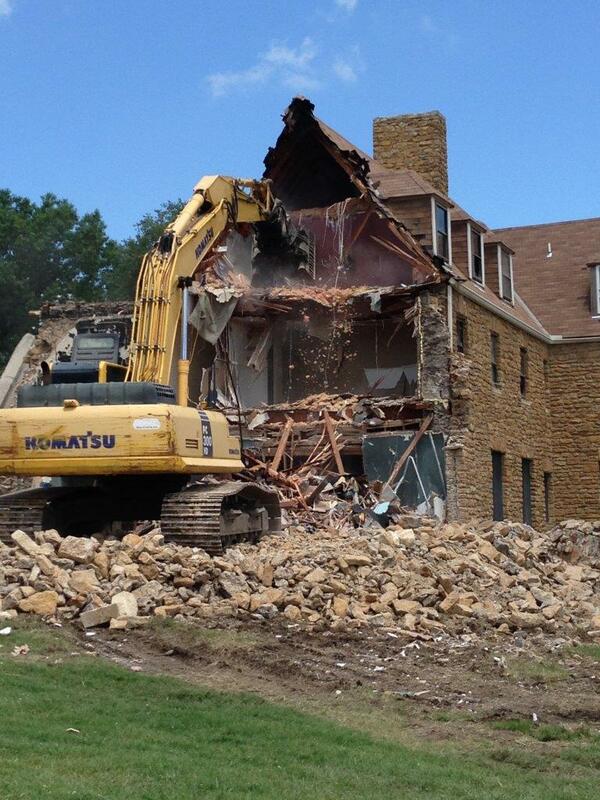 In 2015, Bahm Demolition was awarded the demolition of a fraternity located at Washburn University in Topeka, KS. We were told the building was built in the 1920’s. The project was completed in approximately 2 weeks. The stone entry way/arch was salvaged and is being rebuilt at a cottage home in Colorado. The exterior stone was kept separate from the trash and was sent to Greenpoint to be crushed and made into a product to sell. 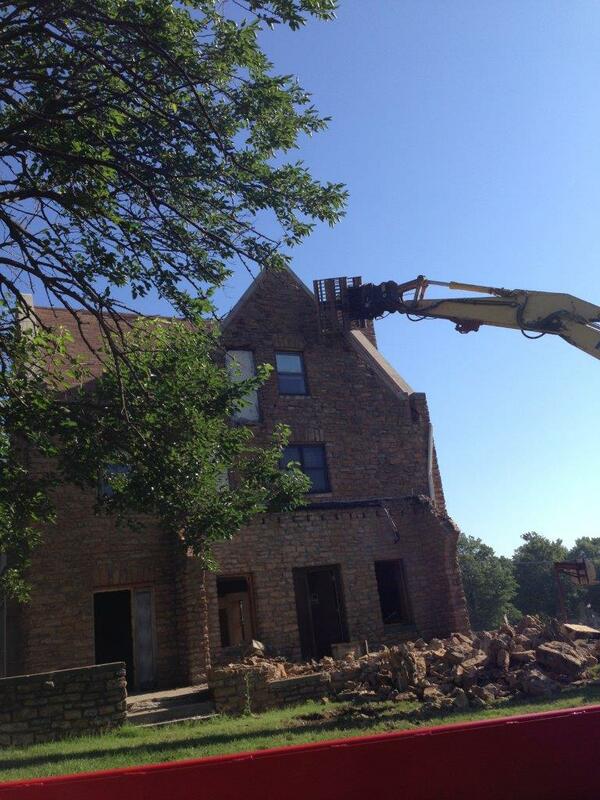 There were 2 fireplace mantles and 2 metal staircases that were also saved from the demolition. We salvaged 87% of the demolished building material.